With over 14 years of buying experience, an intimate knowledge of northern India and with a passion for the old, eastofhere brings you items that are both unique and most importantly, beautiful. From regular wooden lines, like teak wood and stone bowls and wooden boxes of all sizes to painted shrines, the choice is both huge and uniquely whimsical. 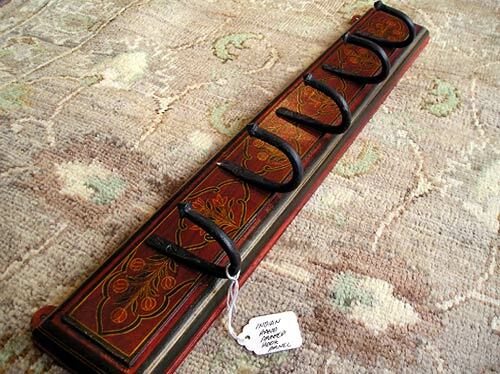 In this age of modern consumerism, it almost seems impossible to find items that are totally one-off which don't cost the earth. 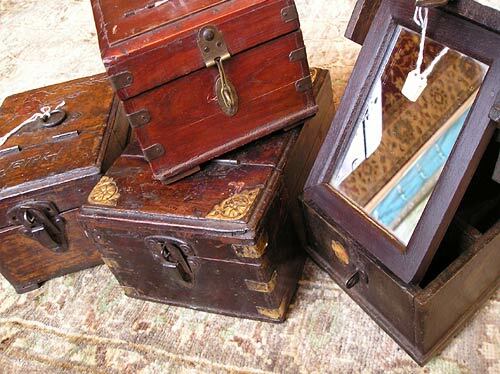 These boxes were for holding the tools of the travelling barber. India still has barbers who do home visits. Open the box, fix the mirror, and there is your traveling salon! They make great gifts for jewellery. Between 20 and 60 years old. A type of cigarette in India is the "bedi" - tobacco rolled in a dry leaf and tied with string. 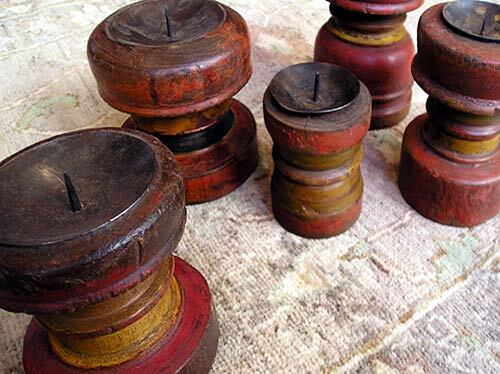 These wooden blocks helped support the knees of bedi makers whilst sat cross-legged for long periods. Up to 80 years old, from coastal Gujarat. These panels are made by carving old panels of recycled teak with inspiration from the early 20th century. 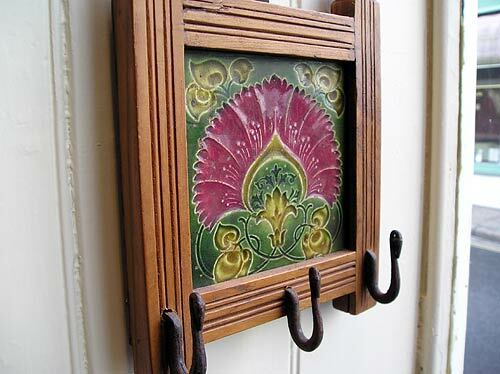 Iron hooks, made using traditional methods by the iron working castes, give added charm. 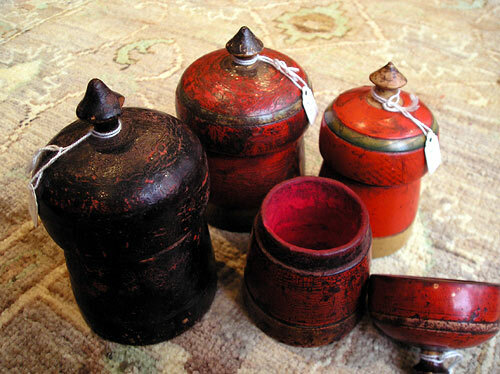 These little pots come from central India. There would originally have been a mirror in every lid. Tikka is the spot where Hindus will place colour powder, usually red, to greet visitors to the home and mark auspicious occasions. These English tiles were shipped out to India sometime last century. At the end of the 1800`s it would have been a great sign of status to have had English made products in the house. They were common in temples and government buildings. 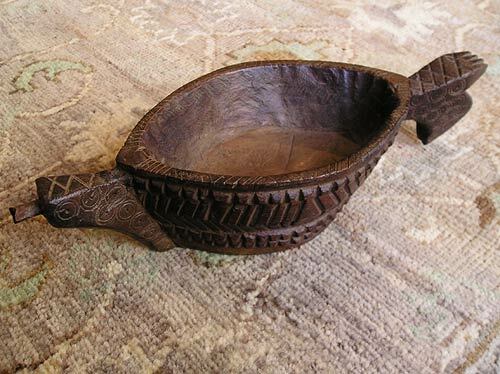 These wooden bowls come from the desert regions of western Rajasthan. Opium is still a great part of the culture outside the cities. Opium water is sieved into the Kharal from where it's poured into the hands and slurped! Age is anything up to 80-90 years. 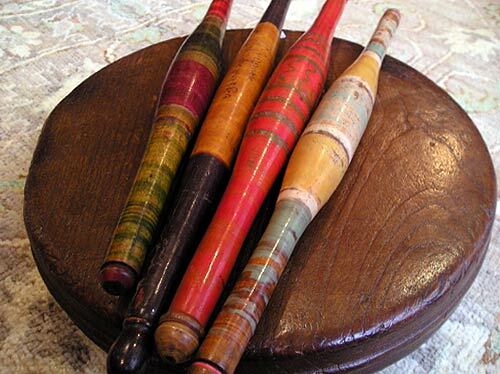 These beautiful lacquered rolling pins come from the tribal regions of west India. Used for rolling "Chapatis", round flat bread, most often eaten all over northern India. Sadly these colours are only found on odd examples. Circa 40-60 years. 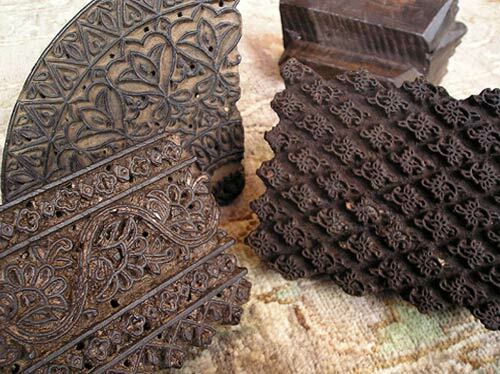 Block printing, as it was called, is still big business in Western India. Although the blocks tend to be machine-made nowadays. 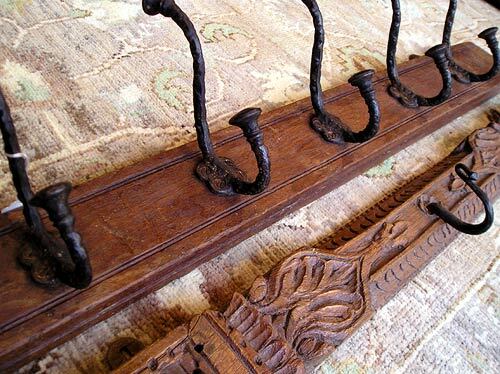 These beautiful pieces were carved by hand and guaranteed to be old and used. Age up to 60 years. 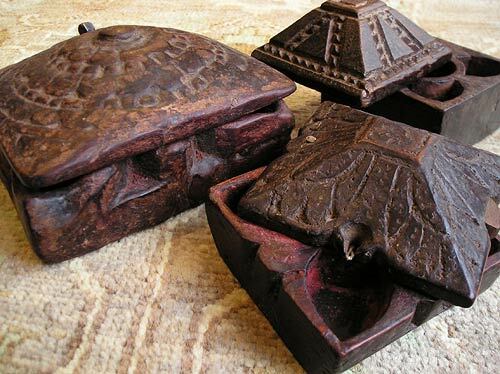 These boxes would have held tikka powder and would have been used by the hostess of the house for welcoming guests with a "tikka" (third eye). Each region has its own shape, although no two boxes are the same. Anything up to 100 years old. These beautiful painted panels make up the components of children's cots from central India. By creating hook panels for these works of art, we are helping to preserve a way of life rapidly disappearing in urbanising India. Up to 75 years old.